1. 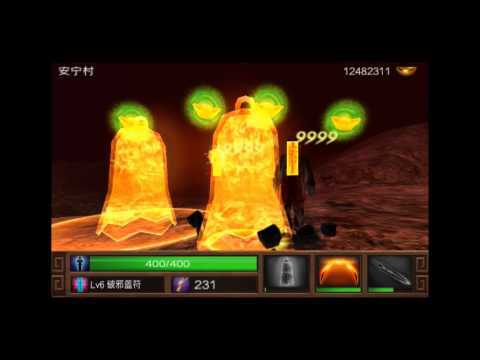 Chinese Zombie War Demon Rising. 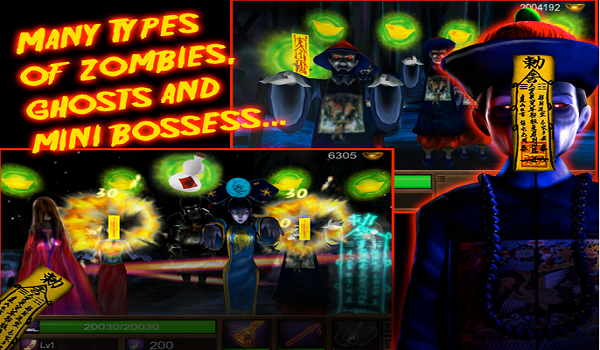 Tomato Animation used the supernatural phenomenon of jiangshi, a term for Chinese vampires, to create this action-packed game which was ranked as one of the top 3 overall apps in China. The action game features you venturing down dark paths filled with ghosts and ghouls, battling jiangshi among other beasties. Visually, it’s got some pretty awesome 3D modeling and animations – probably some of the best I’ve seen out of Southeast Asia – and proves to be a fun time slapping talismans onto vampiric heads. A team of five worked on the Chinese Zombie War games, and made sure only to use well-known legendary or mythical characters as bosses. The games do have fictional characters like protagonist Sung and his companion the Ghost Girl, but those were developed with traditional Chinese culture in mind. 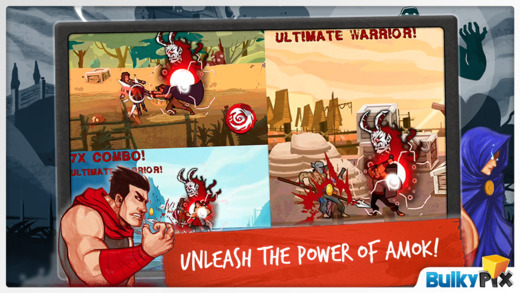 Now with a second edition, Chinese Zombie War 2, the app game has generated more than RM60,000 in revenue since its launch on the Apple AppStore. It was also one of the top three most downloaded apps in China for three weeks. The Chinese Zombie War was developed under the MSC Malaysia Integrated Content Development Programme (Icon), one of the government initiatives run by the Multimedia Development Corp (MDeC) to drive forward the app developing industry in Malaysia. 2. Mobfish Hunter. 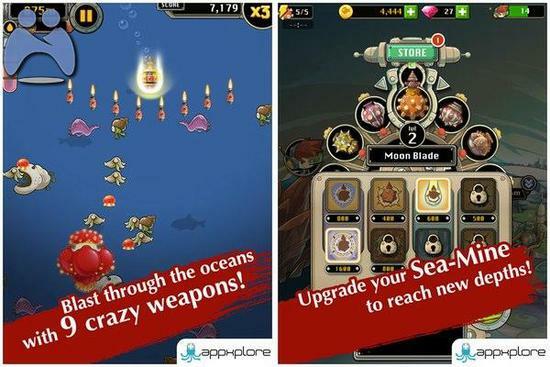 An addictive endless action fishing game, Mobfish Hunter's detailed graphics has helped the app earn 4 stars and above on both iTunes and Google Playstore! It’s difficult to say anything bad about a game like Mobfish: Hunter, which manages to be both really weird and really simple. Let me start with single sentence: you play this game as a cyborg fisherman’s futuristic grenade. We are never sure why this man feels the need to massacre fish, or why people are always requesting he commit fish genocide. Maybe half the population was wiped out by bad sushi? Who knows; it’s a mystery, and once you get over the copious environmental damage you’re doing, Mobfish Hunter becomes a brilliant game. The art in the game is really impressive too! The fisherman looks awesome, with his robotic components and his enthusiastic, fish-killing grin. The fish also look great, whether they are cute little goldfish or large, creepy fish that could take Cthulhu on in a tentacle-off. 3. King League: Odyssey. Are you a Farmville fan? This simulation strategy game plays just like it but instead of managing crops, you take control of a battalion of knights! 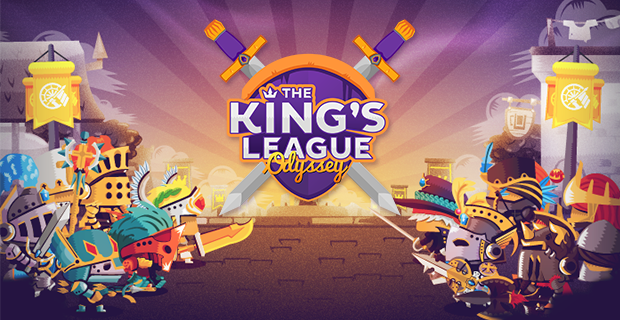 King’s League: Odyssey is the ultimate strategy game you should be playing… and we see why it tops the list of Flash based games online and now available for Android and iOS. However, it requires getting to know each menu and the various quests & goals to better understand how to play because it’s overwhelming initially. The main goal in the campaign is to take over the crown from the current king by competing in battles, building your army and facilities, and taking over towns. The graphics and animations in this title are absolutely stunning! The enchanting music score and sound effects are epic too. It’s a strategic game that will absorb you. The game is not overly difficult and since you can retry tournaments over and over again, you will eventually beat the game since you get stronger with every passing day. Still, it is fun to manage your units and see them become stronger in the process. 4. 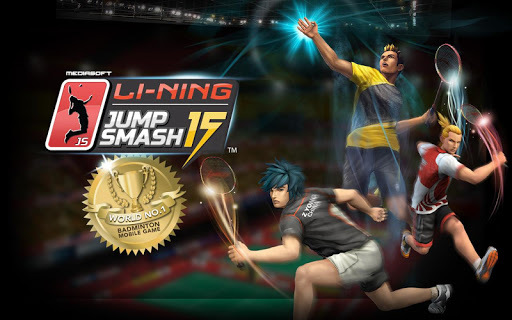 Li-Ning Jump Smash 15. 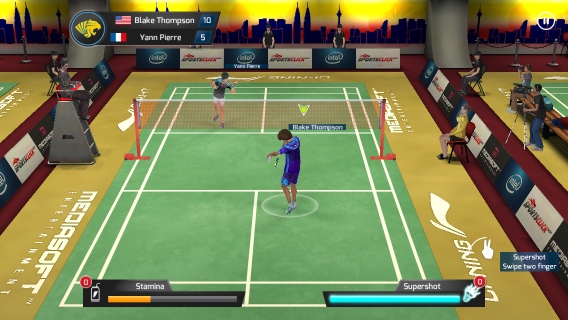 Often referred to as the world's number 1 badminton game, you play as an amateur badminton player and work your way up to become the World Junior Champion! The gameplay for JumpSmash 15 seems simple enough, but it actually proves surprisingly complex. This could also partially be due to my inexperience with badminton in general. The mechanics are simple though. When your opponent knocks the shuttlecock onto your side of the court, players must swipe their finger in the direction they want to send it. The game does a good job of registering your swipe and sends the shuttlecock in the right direction with pretty great accuracy. Occasionally players will be able to jump smash, which allows them to knock the shuttlecock over with a tough to counter hit. 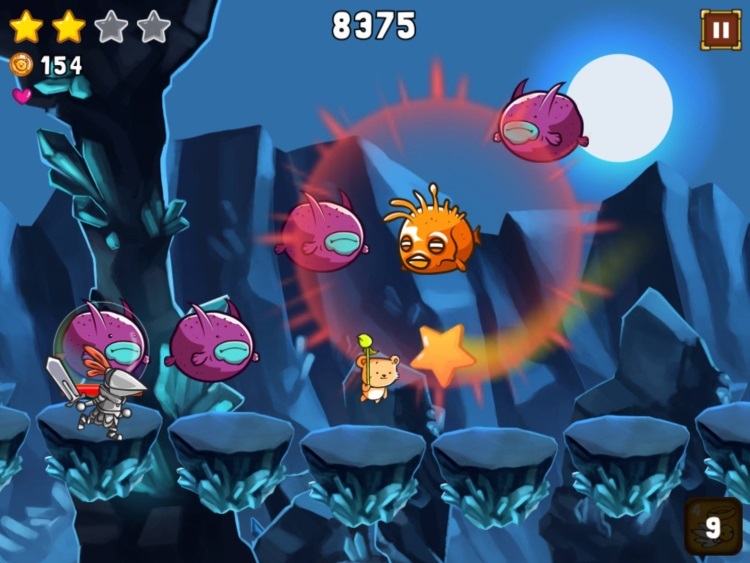 Players can also occasionally perform a super shot, which can only be countered by another super shot. For the tournaments, players can customize, train, and play as their own character. Players unlock gear and improve stats using the in-game currency (which is earned by winning tournaments and exhibitions), and the character’s skin tone, hair style, face, and hair color can all be changed at any time. The gameplay is dynamic and requires a lot of skill (especially in the more challenging tournaments), and the game’s customization and training options will keep players going for a long time. 5. Agent RX. This game could easily pass off as Metal Gear Solid! If you have a thing for stealthy games, this might just fit right in your alley. Agent RX is a top down stealth action game. You take control of the super-sneaky and stealthy Agent RX who must take back control of the hijacked spaceship and neutralize interstellar terrorists. Now that’s a tall order, and to accomplish your mission you are going to have to dodge killer robots, break necks and out-manoeuvre sniper fire. If that doesn’t sell it to you, I don’t know what will. The first thing you are going to notice is that Agent RX looks great. Sure the graphics aren’t the shiniest you’ve ever seen but it has a great feel to it. The cold grey metal, the bright red lasers, and the oddly shaped fire all hark back to an older, simpler time. 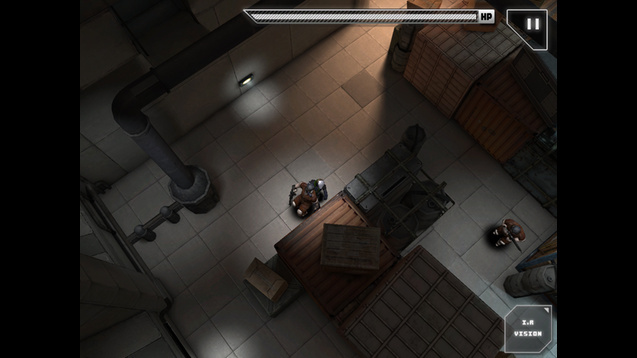 Unsurprisingly, Agent RX looks a lot like Metal Gear Solid even down to the color of the walls. What’s most impressive about Agent RX is that it was made by a team of five guys. That’s right, five. That’s less people than there are on my frisbee team! It is incredibly impressive to see a game that looks so damn good come from such a small team. 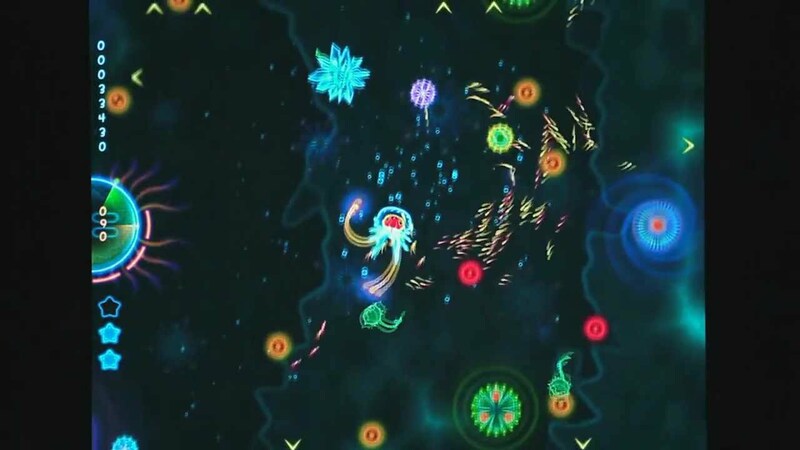 If nothing else, Agent RX shows what indie developers should be doing with iOS technology. 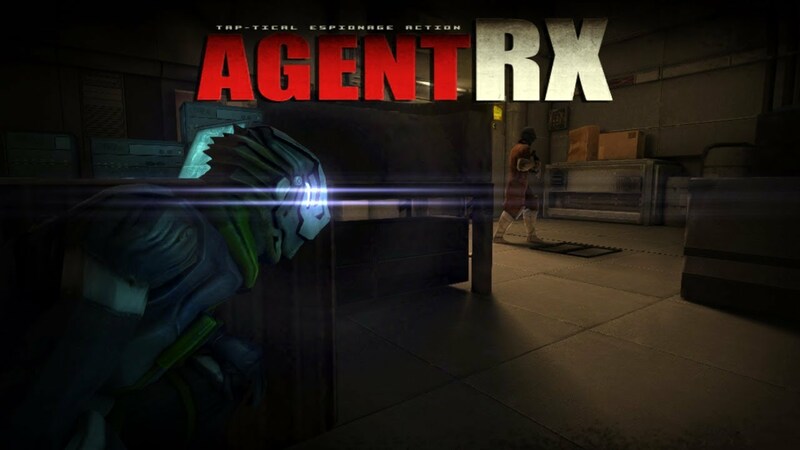 Agent RX is a stellar title that deserves your time and your money. Undercover Entertainment have really pushed the boundaries with this game and they absolutely deserve to be rewarded for their efforts. Set in 5 immersive environments, 5 unique powerful bosses and 32 stages of non-stop actions, this game is gonna keep you occupied for quite a while! 7. Protect Teddy. Here's a cute role-playing game where you have to protect young and rebelious Teddy as he escapes from the Teddy Kingdom, in search of an adventure. Created in Malaysia, Protect Teddy starts with a story. In a kingdom far away are many little teddies who are kept safe in a castle by their personal knightly companions. However, teddies being teddies, our furry friends get bored with life within the walls. One day, a magical flying sprig of bamboo whirs its way into the castle. 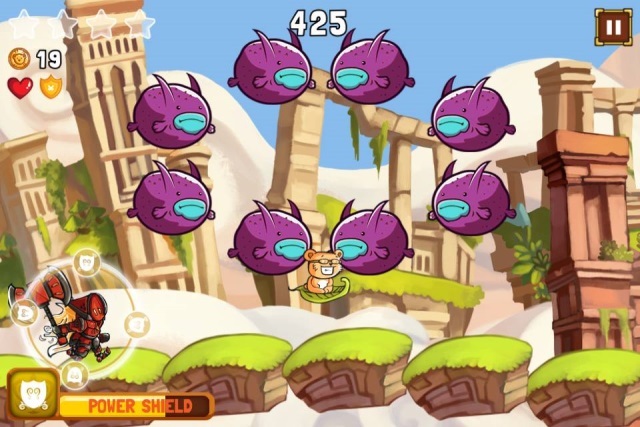 Protect Teddy is an endless runner with a twist. You don’t just run; you must also fight. Monsters appear as Teddy flies onward in the big bad world, and it’s up to you, his knight, to tap on them and slay them. The game is adorably drawn, and is accompanied by a catchy, uptempo tune that I could listen to on loop all day. Protect Teddy is kept fresh with randomly-generated levels, and each avatar upgrade is attainable, yet not so easily-attainable that you can pick it up in an hour. There are also secret avatars that can only be unlocked with items that drop after each run. 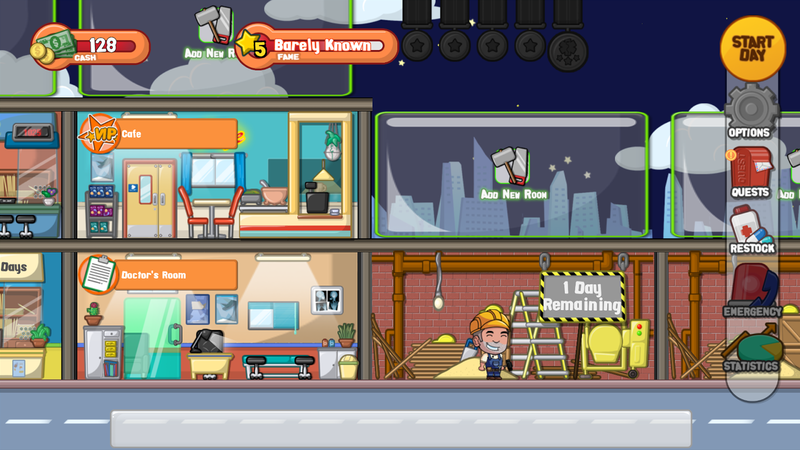 Gameplay is divided into zones, and each zone has a minimum amount of bulbies that must be collected before moving on. You are free to collect more bulbies to increase your score, but the longer you stay in a zone, the more aggressive the baddies seem to become. Each zone also has optional stars which boost your total score for the zone. 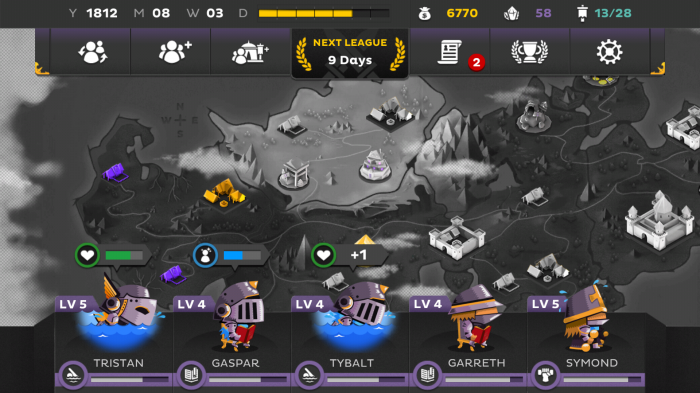 Collect enough of them and you can also travel to a special zone with unique battles in which you are on the offense. 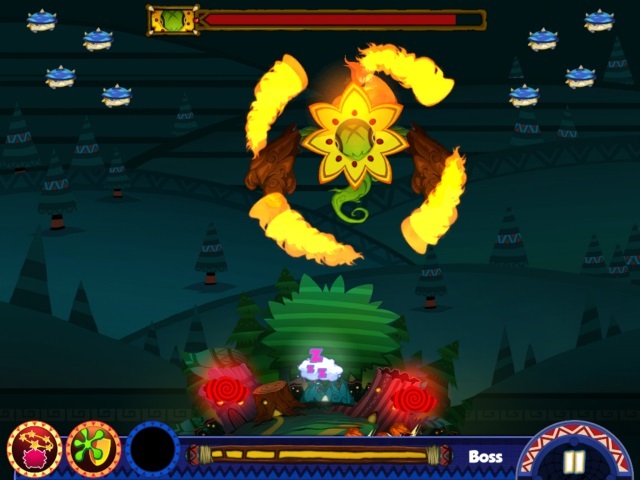 While the collection gameplay of Lightopus is engaging enough, the combat serves as the star of the show. Your lightopus can’t attack anything head on, but the bulbies you collect form an army that continually follows you and attacks anything in its path. Lightopus isn’t a game of destinations; it’s a game about journeys. Each play through is a new and somewhat unique adventure through this beautiful world. While some games offer the greatest satisfaction from completing it, others (like this one) are simply a joy to simply play. 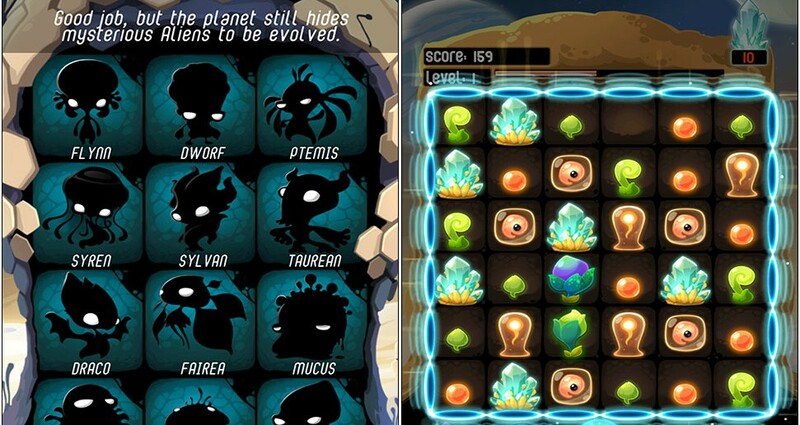 The App Store gives games like Lightopus a home, and long may it continue to do so. This is innovative gaming at its finest, and whilst it's let down by a few niggles, they're not enough to spoil what is a fantastically enjoyable, highly playable arcade adventure. 9. Doctor Life. Not your conventional hospital management game, the game includes real life situations - expect to see actual diseases and learn about them in-game. Who needs med school when you have this game? 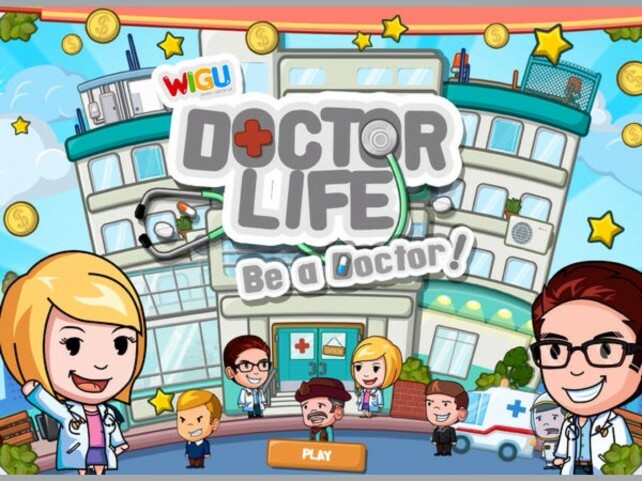 Doctor Life is slightly educational in some ways but in a strictly playful and lighthearted manner. I think I learnt more about illnesses and general prognosis here than any time spent in the doctor’s office or simply browsing the web. You’re a doctor tasked with running your own surgery-come-hospital; how you go about it and how well you do is up to you. However, all this is done on a time-limited basis, which only gives you around maybe fifteen or so seconds in order to diagnose the patient appropriately. Herein lies the fun, and part of the satisfaction is being able to correctly assess the patient and score points for doing so. A series of challenges also manage to make gameplay far more exciting and keep things fresh; these can include anything from building a specific room, investing in a certain amount of treatment, or simply treating enough patients in succession in one “working” day. Although the latter challenge indeed sounds like a doddle, this is not the case. For me, scoring more than ten in a cycle proved difficult. For anyone looking for an accessible, heartwarming, laid-back casual game with no strings attached, Doctor Life is the perfect companion to waste hours of your life before you turn around. 10. The Dreamcatcher. 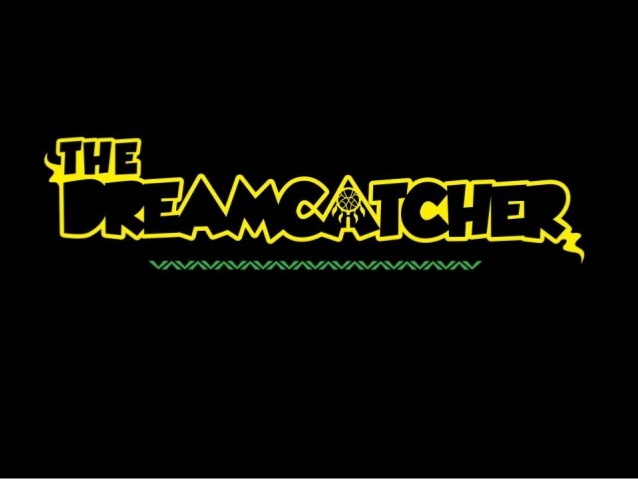 The Dreamcatcher is an interesting gesture-based action game from Malaysia-based Sunnyside Interactive, a game company funded by Malaysia’s Ministry of Finance-funded l337 accelerator. In Dreamcatcher, you destroy encroaching nightmares by drawing a circle around them. 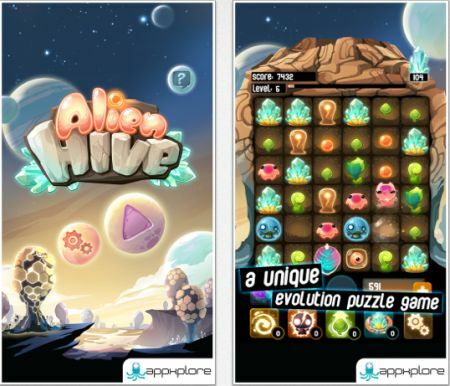 The game is playable only on the iPad, since the iPhone screen is definitely too small for such endeavors. Circles can be chained for greater damage, and attacks are given greater strength with weapons and abilities. A comprehensive tutorial takes you through the basics of the game, after which you are unleashed into the world to protect sleeping dreams. As you progress, you unlock useful abilities such as a basic stun, or a shield against enemy projectiles. Weapons are also made available, and once equipped, can be combined with equipped abilities for some devastating combos. The Dreamcatcher seems to be a game designed to be sped through. Transitions between levels are simple, with no text or unnecessary steps. Completing a stage rewards you with your score, one to three medals depending on the number of dreams you saved in that level, and then you are ushered on into the next one. There isn’t much of a story to follow, except for the main premise of the game—that you have to save dreams from nightmares. 11. Alien Hive. 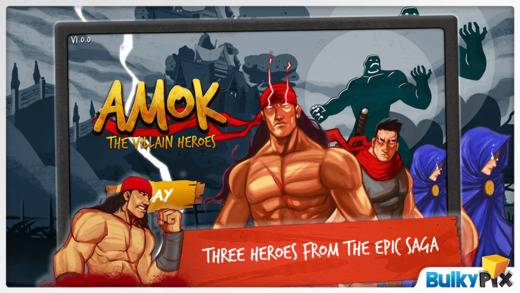 This Malaysian-made game created history by crossing over 3 million downloads on Google PlayStore! Your main target here is to form the various stages of an alien's development, from basic blobs of matter to fully fledged supreme alien beings. You can also match up crystals and plants (which can also be evolved) to earn you more turns (you start with 100). Finally there are naughty bots, which freeze one adjacent block each turn, but can be matched in threes all the same. This matching process is achieved in a slightly different way from Triple Town and standard match-three games. Here you have one empty square at all times, and you can slide any number of blocks horizontally or vertically. It works a bit like one of those sliding tile picture puzzles. It's an interesting twist on the usual block-swapping mechanic, but it's a double-edged sword. While it's certainly challenging, forcing you to think ahead, it can also feel restrictive - especially when things get tougher. Armed with a team of a stellar combination of artists and developers, this Malaysian game development studio is a rare breed that’s been able to generate more than 15 million downloads on a successive series of smartphone games published across 17 countries in Asia Pacific. On the other hand, did you know a Malaysian created a vaccine that protects people from malaria? Malaysians, making science cool for the world. And the lytro camera was invented by a Malaysian too?